This is a factory-serviced Apple iPhone 8 Plus where all the worn and defective parts have been replaced by new ones! The phone looks like a new one, though cheaper! The Apple iPhone 8 Plus with 5.5 inch screen is a brilliant Apple smartphone. This is a factory-serviced phone where all worn and defective parts have been replaced by new ones! The phone looks like a new one, though cheaper! The iPhone 8 Plus has a larger and more accurate screen than the iPhone 8 and dual cameras. They give you crisp images and high quality videos. The camera has both optical and digital zoom. The 5.5-inch FHD screen is great for surfing the web and watching videos. The phone is splash-proof and therefore does not damage any water drops. Read more about the phone on Apple's website. Languages: Finnish, English, Swedish etc. 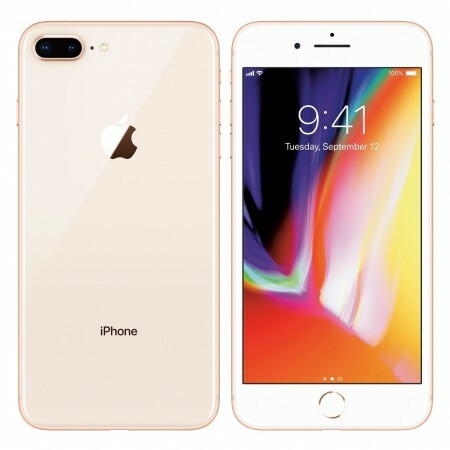 https://www.e-ville.com/en/3045977-refurbished-smartphones/29234-apple-iphone-7-plus-55-refurbished.html 29234 Apple iPhone 8 Plus 5.5" refurbished http://www.e-ville.com/img/p/29234-140068-fb.jpg 682.95 GBP InStock /Phones & Accessories/Phones/Refurbished smartphones /Phones & Accessories/Phones /Phones & Accessories This is a factory-serviced Apple iPhone 8 Plus where all the worn and defective parts have been replaced by new ones! The phone looks like a new one, though cheaper!